Friesland and water are inseparable. In earlier times virtually all transport went across the water. Those times are gone, but the waterways are still there. Wouldn’t it be obvious to discover Friesland across the water? 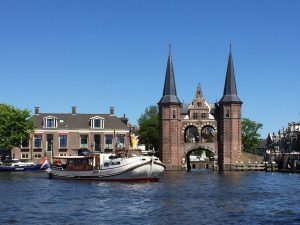 Our guides will gladly take you along on a market boat through the moats of Sneek, or accompany you on a tour across the Frisian lakes on a tour or river boat. Just to name a few of the possibilities. Want to know more? We will gladly tell you about it and if needed together with you we will search for the most suitable ship for your group.